There was a lot of good jiu-jitsu at Masters Worlds, but here are five champions who stood out from the rest thanks to their solid performances. "Formiga" conquered double gold this year winning both his weight category and the absolute. This was Barbosa's first gold at Masters Worlds since 2015 when he won lightweight. In the following years he managed a silver and a bronze at middleweight, and two silvers and a bronze in the open class. A strong performance from Barbosa, who had to beat super-heavyweight Vitor Schlosser in the open class final. This is the second year in a row that Campos won double gold, claiming the medium-heavy and open class titles. Campos had five matches in his weight division with only one decided by points. The other four were all finished in under 90 seconds, with his fastest match a win by helicopter armbar in only 21 seconds. The name gives it away: Zimmermann is a dual-national Brazilian-German citizen and teaches in Munich. The 42-year-old ran through the medium-heavyweight bracket this year, tapping all five opponents without conceding a single point. The Carlson Gracie team black belt snagged two armbars, two wrist locks and an ezekiel choke. 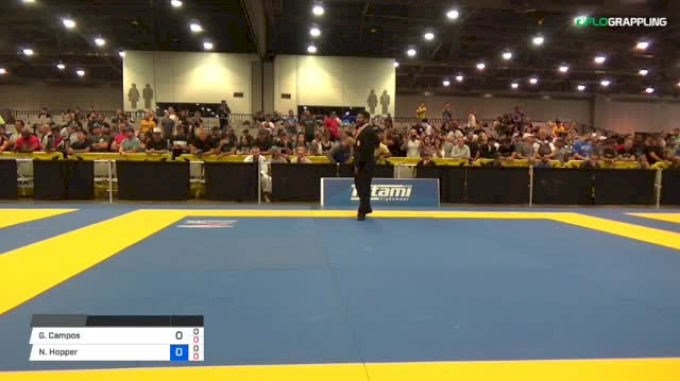 Masters 4 black belt matches are only five minutes long. Leite didn't let the time limitations hinder his jiu-jitsu. He was the highest scoring medalist on this list, racking up an impressive 31 points in four matches, with one of those ending with a choke from the back. The most famous Masters athlete in the world returned to win his 11th World Master gold medal since the event began in 2012. 'Meg' hasn't lost a match at World Masters since that first year when he got a silver in his weight class but won the absolute. Dias has taken double gold four times (2014-2017) in the years since then, and claimed his latest gold with three matches in the featherweight division: a 7-0 points win, a choke and a judges' decision in the final.